Toronto to Terni: Now that's da-Bomba! I don't think there is one blog about living in Italy that doesn't mention its wonderful foods. In fact, any time someone comes back from a trip to Italy, one of the top three things they will mention is how amazing the food was. This is why it is one of the things that gets me super excited about moving there, particularily, i dolci -- the sweets. Now I'm not one that normally craves sweets. Maybe it's because our sweets here don't even compare. 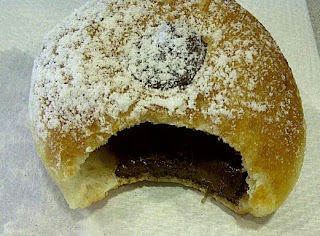 But if you take fresh pastry, and stuff it with cream or nutella...now we're talkin. 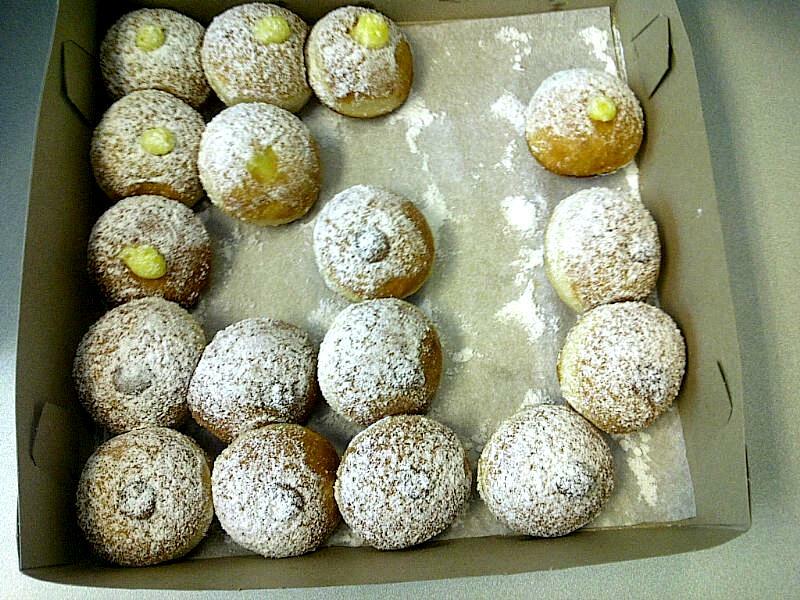 If there's one thing the Italians do well, it's i dolci. Of course I've enjoyed a croissant, or two, or ten, or ok, a few hundred in my life. However, I will never forget the first time I had a fresh cornetto (croissant) filled with cream from a local pasticceria in Terni. It was the absolute best tasting pastry I've ever had in my life. So good that I had to stop over once more before catching my flight back to Toronto. A few weeks ago, we had our weekly "treat day" at work. We were graced by these beautiful, perfectly rounded, sugared little pastries called "bomba" from an Italian bakery. Oh Mio Dio. There were three kinds of fillings: banana cream, caramel and, yes, Nutella. If they were that savory here in Toronto, I can only imagine how insanely good they will be in Italia. It was even a little bit frustrating to try and plan brunch when he visited Toronto. When we do Sunday brunch, we sleep in, wake up, get ready and head downtown to a cute spot to eat around noon. My boyfriend had to eat a few cookies before heading out to get a few sweets in his belly to start. God forbid he eat any foods that weren't sweet to begin his day! Oh, and I can't forget the time we went for Dim Sum. I think he was slightly traumatized that we were eating shrimp dumplings and rice noodle rolls before noon! At first I couldn't understand eating all these sweets in the morning. But then it kinda made sense. Why not eat these sugary sweets in the morning, so you have the entire day to burn them off. Beats eating them for dessert after a heavy dinner, then hittin' the sac a few hours later. I think I may convert eventually to a bomba or two for la mia colazione (my Rosetta Stone® is finally paying off). But before I do, I'm going to enjoy a few more dim sum dates with my buddies on Sunday afternoon. I know exactly what you mean! I don't have much of a sweet tooth either, but Italian desserts and pastries are seriously from another world. Being in my third trimester, I have started to finally crave sweets and I couldn't be in a better place to satisfy the cravings! MmmmMm un bel cornetto con un cappuccino. 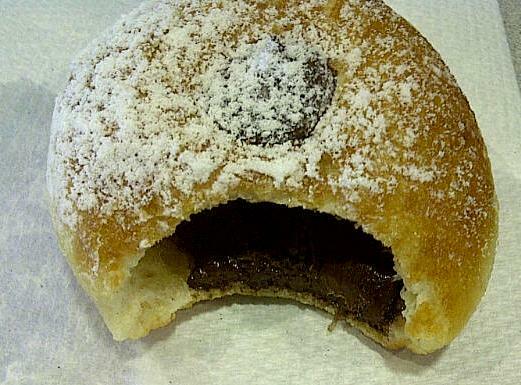 =) Che buono!